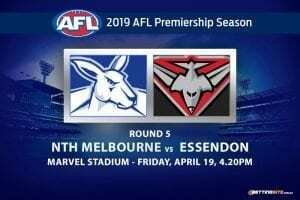 A taste of finals football will come sooner than expected this Sunday when the Melbourne Demons host the Greater Western Sydney Giants at the MCG. 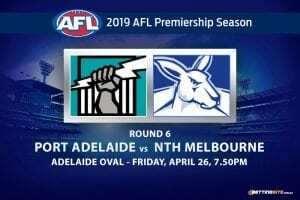 With the top four yet to be confirmed, there are still plenty of outcomes that could see either of these two sides receiving a second chance in finals. 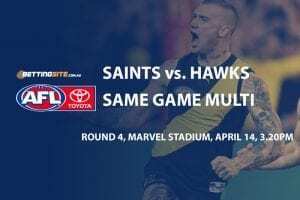 The Demons will enter the match filled with confidence after overrunning the Eagles by three goals in Perth last week, booking their first finals campaign since 2006. 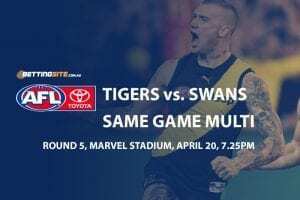 The Giants need to bounce back after falling apart in the second half of their last match, where the Swans swooped in to steal the win. Injuries have been the biggest pestilence attacking the league this season, in particular it has been the Giants and Demons who are two of worst victims. The Giants have suffered 10 injuries in the last three weeks, which has completely ruined continuity entering the finals series. Melbourne may be lucky enough to get back Jack Viney for the first week on finals, but for now it will still be without its captain. GWS welcome back Josh Kelly and the half back star Zac Williams this week. Williams suffered an Achilles rupture during a summer training session, which ruled him out for most of the season, but after a dominant 30 disposal performance in the NEAFL, Williams is ready for senior footy. Here are our tips for this crucial match between the Demons and the Giants. As a general rule, the first team to score is often the home side, given their familiarity with the ground and the extra motivation of playing in front of a home crowd. 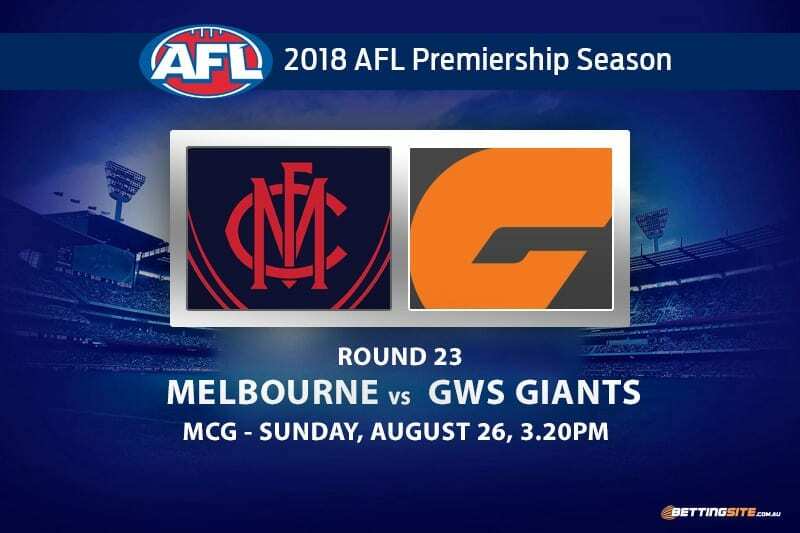 The Demons have kicked the first goal in 47% of their matches this season and the Giants are going at 57%, but we believe the momentum from last week, where Melbourne finished strongly and GWS flagged late, will carry through to this game. The Demons currently sit second out of all the teams in the league in terms of Goal Accuracy, going at a very high 51.1%. The Giants on the other hand are well below the league average, sitting in the bottom quartile in 14th, with a mere average of 45%. If this is any indicator as to how well the sides will kick this weekend, then it should be quite clear that the Giants offer good value in betting here. Jeremy Cameron is in poor form since coming back from suspension and is paying $4.00 to kick the most goals — a market he’d usually be at the $2 mark to win. 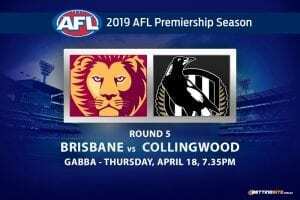 This will be Cameron’s fourth game back since his five week suspension for rough conduct against Harris Andrews back in round 14. Cameron will get a hold of the Demons backline early and should set sail from there. Out of all the players that are named for this match, Coniglio has the third highest disposal average, only sitting behind teammate Josh Kelly and Demons star Clayton Oliver. Coniglio simply needs to have a great game and the $6.00 odds are in play. In the last match between the Demons and Giants, it was Coniglio who had 28 disposals, the second highest out of the Giants players. If the young gun can play another great game, it would be a delight to our accounts. This is the cheekiest tip that has been provided all season. Josh Kelly has been named in the forward pocket for this match, which he has played before in the earlier stages of his career. If Kelly actually plays in the pocket, which many expect he won’t, the $34.00 odds could be a bonanza. 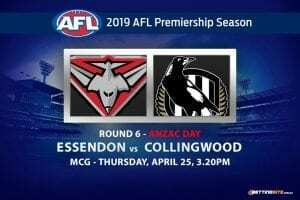 If the same Demons that beat the Eagles turn up on Sunday to the MCG, it will be very hard to see them lose this match. The Giants injuries will be too much to overcome away from home.